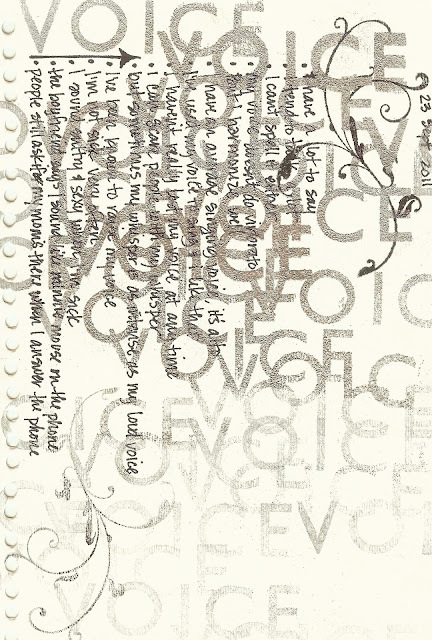 Here is my art journal entry for My Voice. Truth be told, I almost forgot to do it because I have homework on my mind. But, I'm glad that I have this Celebrating Me • Art Journaling challenge to remind me of important things I want to record. I hope that you got to record your thoughts on you. My page looks much better in person that in this scan. It took me about 30 minutes. I did silver ink with glitter embossing. Then wrote with a sharpie pen. I love silver. And glitter. I never tire of it.